The risk of falling is one of the most important problems for people over 65 (35-40% of them). In 20% -30% of cases, falls cause damage such as a reduction in mobility and independence, an increase in hospitalizations and the risk of premature death. However, most falls are potentially preventable with an assessment aimed at identifying the level of risk of falling. 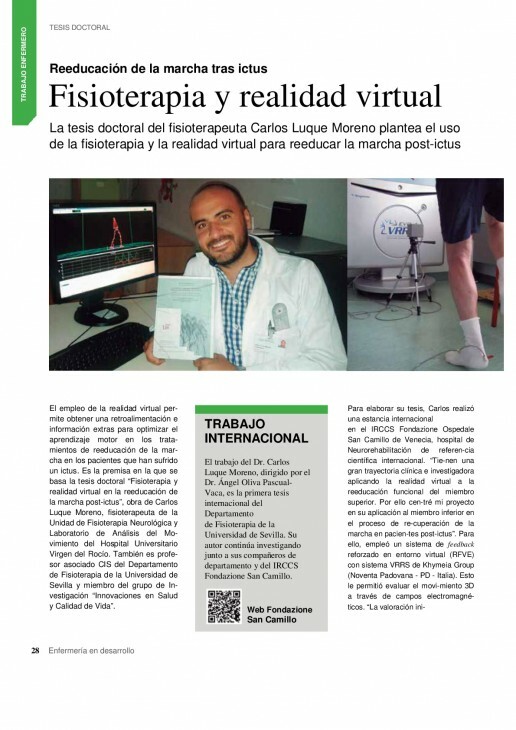 In this context, an innovative and technologically advanced system based on virtual reality has been developed, the unique OAK system, which is proposed as an effective tool for evaluation, prevention and even rehabilitative treatment. The researchers and engineers of the IRCCS Galeazzi Orthopedic Institute - led by Elena Stucovitz, Greta Castellini and Silvia Gianola - the only facility in Italy to use this machine, are currently experimenting with this evaluation and prevention model able to give a concrete answer to the thematic risk falls. The OAK system, in fact, allows automated posturometric evaluations (assessment of balance control and postural reactions) to distinguish the risk level of the subject in three classes: high, medium and low risk. Instructions to the patient during the session are provided by the system in automatic mode through visual and auditory interfaces. At the end of the session, one can then identify the most critical exercises for the individual and set up a personalized rehabilitation program. A further important aspect of the project is the replicability of the model on a national scale and therefore the impact on the NHS that would have the possibility to formalize a new system of screening of the risk falling in elderly subjects.